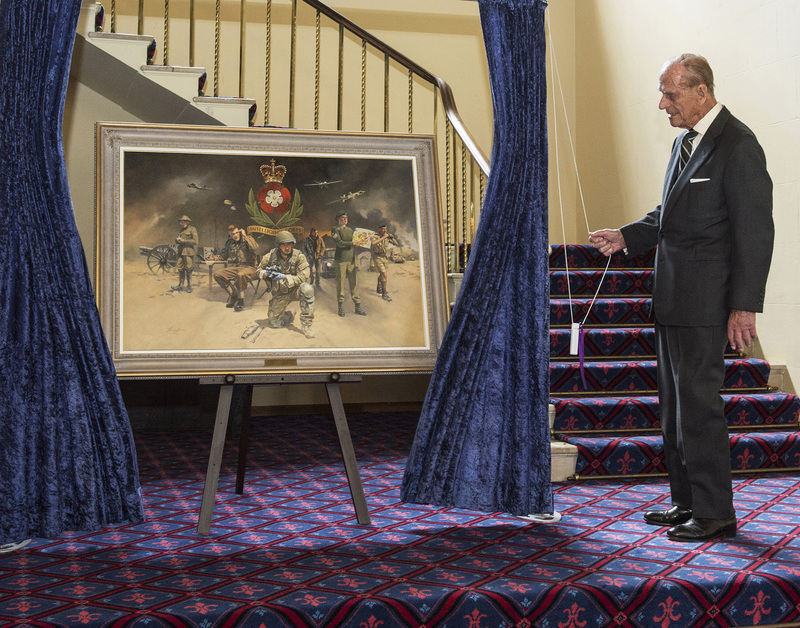 The Intelligence Corps and unveiled by HRH the Duke of Edinburgh, July 2015. In August 1914 shortly after the start of World War 1, 55 men were invited to join a new unit called ‘The Intelligence Corps’. Apart from a handful of Regular, Territorial and Reserve Officers, they were made up from an assortment of journalists, academics, artists, businessmen and adventurers, all of whom had been selected for their linguistic abilities and knowledge of Europe. After the war, in line with the draw down of British Military Forces, the Corps was no longer considered as necessary and was disbanded in 1919. In 1940 the Intelligence Corps was reformed in line with Army Order 112 which gave approval of the Corps’ formation on 19 July. In 1957 a regular Corps of one hundred officers was formed and a professional system of trade training was introduced for soldiers. This renewal and professionalisation has continued to this day and has seen the Corps grow from strength to strength. 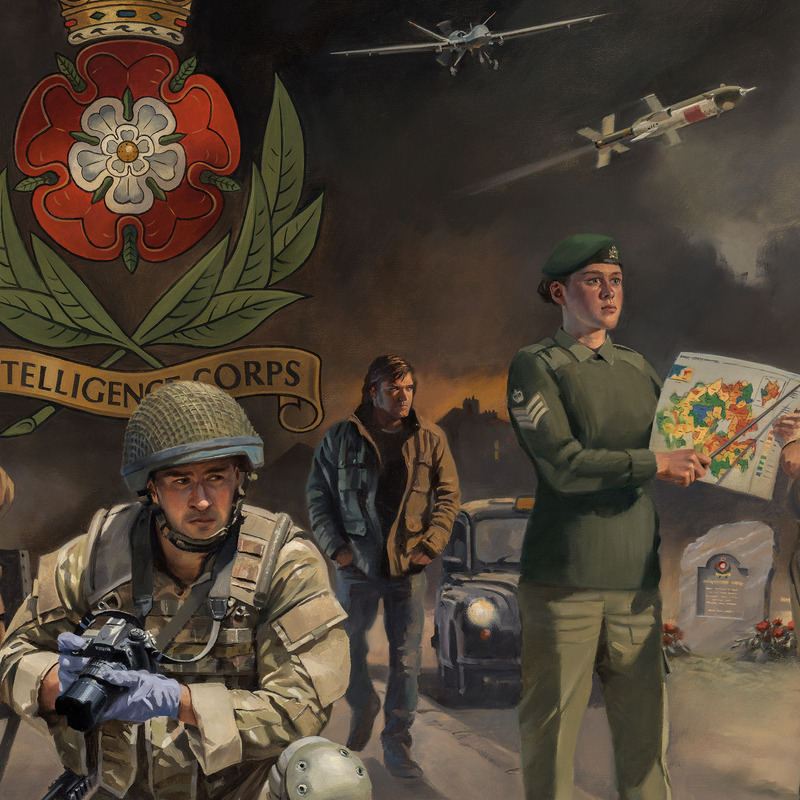 This picture depicts ‘The Intelligence Corps through the Ages’ and commemorates the first 100 years of the Intelligence Corps. 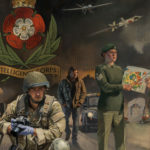 No painting could fully capture the breadth of work carried out by Intelligence Corps personnel, nor all of the operational Theatres in which Corps personnel have served over its history. 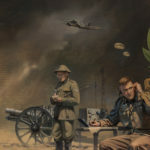 Therefore, this painting seeks to highlight core disciplines throughout the century in illustrative operational environments. The figure on the left is an Intelligence Corps Sergeant employed on Field Security duties and reflects the Corps’ formation in World War 1 and its deep involvement in Counter Intelligence. The seated Lance Corporal in World War 2 battle dress represents the Corps’ expertise in the Signals Intelligence field. 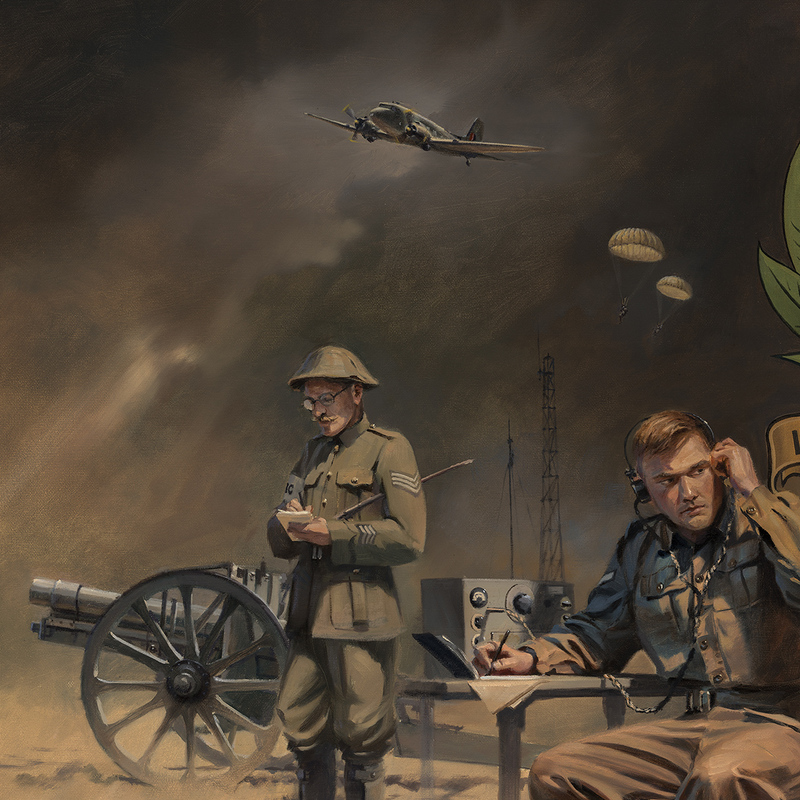 On the far right the soldier holding binoculars is representative of the core discipline of Operational Intelligence, the Corps’ involvement in operations around the globe since World War 2 and, in particular, the contribution made by National Servicemen. The Female Staff Sergeant represents the Corps’ significant contribution to operations in Northern Ireland, for the entire duration of Operation BANNER, and is testament to the integral and invaluable role played by women in the modern Intelligence Corps. The figure in civilian clothes represents the many aspects of discreet operations and alludes to the Corps’ expertise in the fields of Human Intelligence and Covert Passive Surveillance. To the left of the Corps cap badge, the Dakota and two parachutists represent the bravery of Intelligence Corps personnel who served in the Special Operations Executive during World War 2 and also acknowledge personnel who serve in Special Forces, Airborne and Commando roles. To the right of the badge the field of Imagery Intelligence is represented by the Midge drone and a Reaper Remotely Piloted Aircraft. 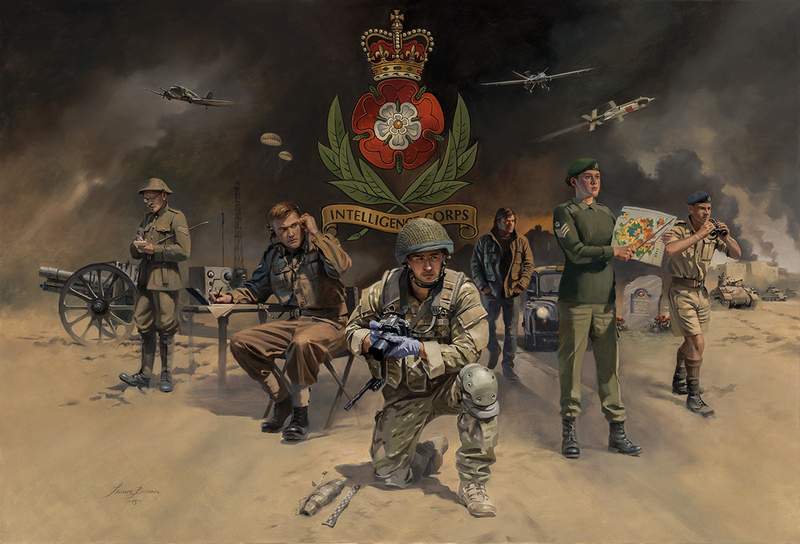 The kneeling figure in the foreground represents Materiel and Personnel Exploitation and is illustrative of the contribution to Operations TELIC and HERRICK and the continued necessity for Intelligence Corps skills on the modern battlefield. The Corps has suffered losses over its history and our fallen are proudly remembered in the representation of the National Memorial Arboretum memorial stone. 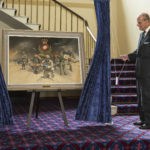 This painting is dedicated to all members of the Corps, past and present, Regular and Reserve who have played a part in our history. Overall print size 66.8 x 50 cm / 26¼ x 19¾"